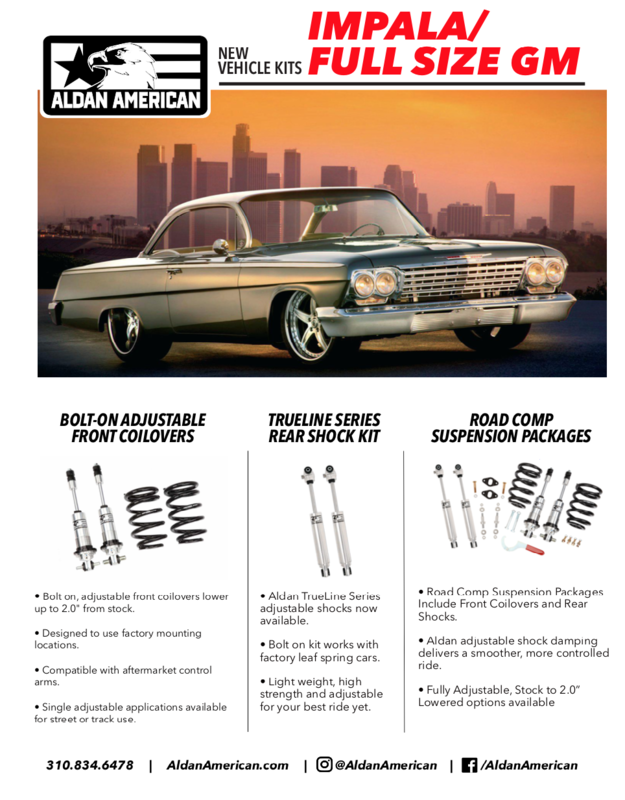 If you’re building or driving a 1958-1996 Impala, Biscayne, Bel-Air, Caprice or other full size GM muscle car, Aldan American now has a full line of suspension performance kits for your ride. Aldan GM Full Size suspension packages are designed to convert your stock, front suspension to fully ride-height adjustable coil-overs with adjustable shock absorbers in the rear. Designed for the Impala & similar chassis.